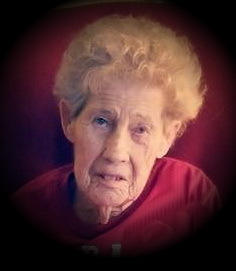 Our beloved Ruby Elizabeth Pogue Hughes, age 93, of Florence, left this world to be with our Savior Jesus Christ on November 24, 2018. A graveside service will be held at Tri-Cities Memorial Gardens on Wednesday, November 28, at 2:00 p.m.
She was preceded in death by her son Ronnie Pogue and her husbands Eroy Pogue and Arnold Hughes. She lived a full and wonderful life and was loved by all who knew her. Known Ruby my whole life , a precious Lady ! I feel truly blessed to have known her ! This world wont be the same without granny Ruby thats for sure !! Rest now ,and give my Momma a hug for me !!! My condolences to cousin Nancy, Janice and Diane…and to all the family…I know how much you will miss your momma. Just want you to know that you are in our thoughts and prayers. Mrs. Hughes was the sweetest lady I’ve ever known. RIP Mrs.Hughes.